Peter Strzok, an FBI agent whose anti-Trump text messages fuelled suspicions of partisan bias, told lawmakers Thursday that while it was "fair to say" he detested the Republican, his work on investigation involving both Trump and Hillary Clinton had never been tainted by personal political views. An FBI agent whose anti-Trump text messages fuelled suspicions of partisan bias said at a bitterly contentious and occasionally chaotic hearing in Congress on Thursday that his work has never been tainted by politics, angrily rejecting Republican allegations that he set out to stop Donald Trump from becoming president. Peter Strzok testified publicly for the first time since being removed from special counsel Robert Mueller's team, telling lawmakers in a day-long session that texts he traded with an FBI lawyer in the run-up to the 2016 presidential election reflected personal views that he never acted on. The session descended into chaos in the early going. 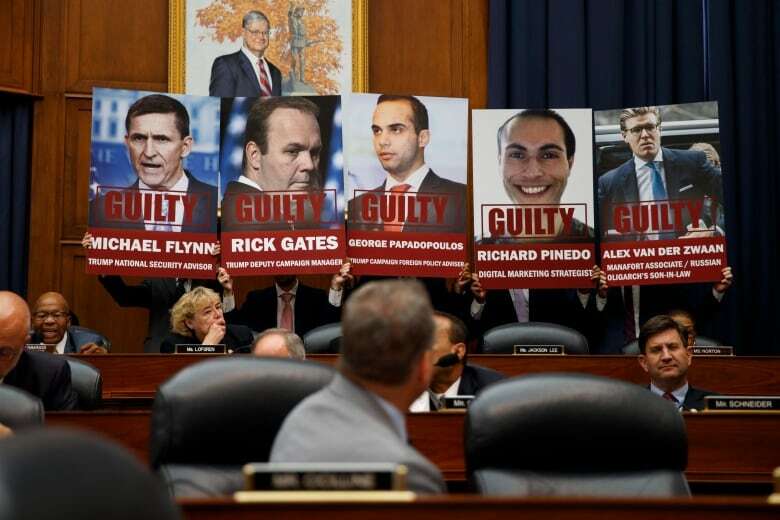 Republican and Democratic lawmakers openly yelled at one another as the chair of the House's judiciary committee, Republican Robert Goodlatte of Virginia said Strzok needed to answer questions and suggested they might hold him in contempt. Strzok said he could not answer a question about the early stages of the FBI investigation into Russian intervention because the probe is still ongoing and FBI counsel had instructed him not to. Democrats objected to Goodlatte's repeated attempts to get Strzok to answer. At one point, Goodlatte told Strzok he could only consult with his own lawyer, not an FBI lawyer. Democrats responded with a call to bring back before the committee former Trump adviser Steve Bannon, who was not forced to answer certain questions. Goodlatte eventually let the hearing of the body's judiciary and oversight committees to proceed without calling the panel into recess. Strzok worked on FBI investigations into Democrat candidate Hillary Clinton's use of an email server in addition to the probe into potential co-ordination between Russia and Trump's campaign. He was removed from Mueller's team following the discovery of the derogatory text messages last year, exchanged with an FBI lawyer he was having an affair with. 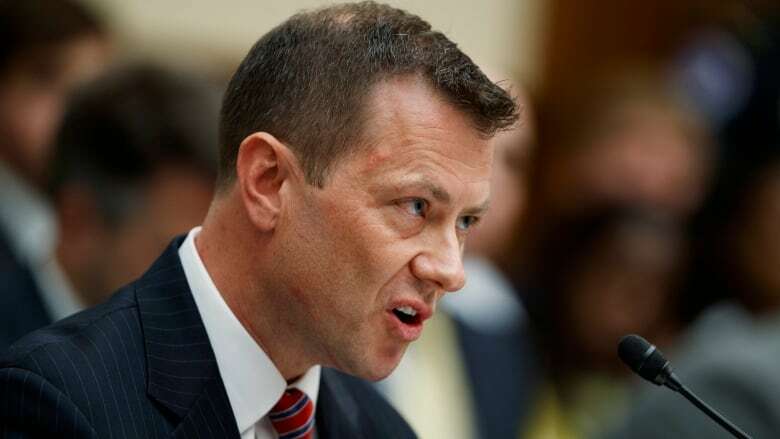 Republican members of the committee grilled Strzok as they argue that the text messages with Lisa Page coloured the outcome of the Clinton email investigation and undercut the FBI's ongoing investigation into Russian election interference. Repulican Trey Gowdy of South Carolina said Strzok exhibited "textbook bias" and in his mind had Clinton "winning the White House" before he finished his investigation. Gowdy seized on one message that has received particular attention from right-wing media outlets, an Aug. 8, 2016, text in which Strzok, discussing with Page the prospect of a Trump win, says, "No. No he won't. We'll stop it." 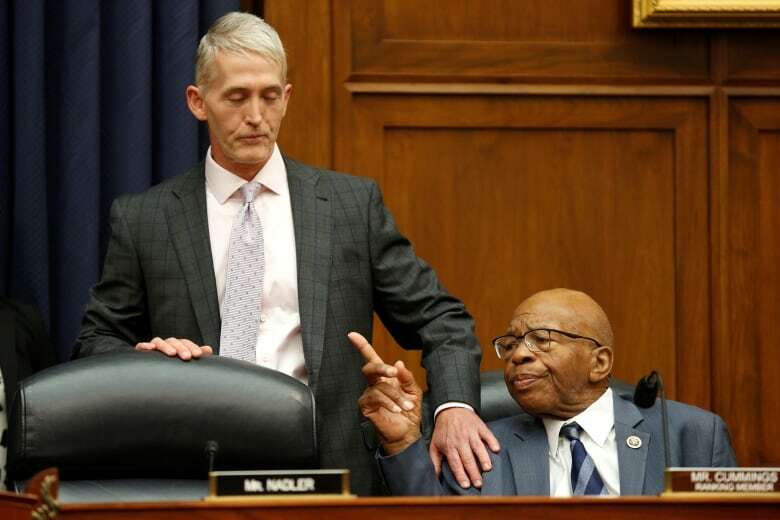 At one point, Strzok said he didn't appreciate an assertion from Gowdy, who retorted, "I don't give a damn what you appreciate." Strzok angrily responded, saying the "we'll stop it" text came in response to campaign occurrences such as Trump insulting the immigrant father of a fallen U.S. soldier. Strzok called it "horrible and disgusting behaviour," and said he was stating his opinion the electorate would "stop" a candidate like that. He said it was not a declaration that he or the FBI would improperly interfere with the electoral process. "The suggestion that I and some dark chamber somewhere in the FBI would somehow cast aside all of these procedures, all of these safeguards and somehow be able to do this, is astounding to me," said Strzok. "It simply couldn't happen." The response was met with applause from some Democrats in the committee room. Strzok said the proposition that there is a conspiracy going within the nation's foremost domestic law enforcement agency "deeply corrodes" faith in the FBI. But Ohio Republican Steve Cabot did get Strzok to admit it was "fair to say" both he and Page "supported Hillary Clinton and both detested Donald Trump." Strzok said in his opening statement that his work has never been tainted by politics and the intense scrutiny he faces represents "just another victory notch in [Russian President Vladimir] Putin's belt." In the prepared remarks, Strzok acknowledged that while his text message criticisms were "blunt," it was not directed at one person or political party, and included jabs not only at Trump, but also at Clinton as well as Sen. Bernie Sanders. Strzok also said he was one of the few people during the 2016 U.S. election who knew the details of Russian election interference and its possible connections with people in the Trump orbit, and that information could have derailed Trump's election chances. "But," he said, "the thought of exposing that information never crossed my mind." It is a point that has been largely brushed aside in Trump-friendly media circles, with a text Strzok sent to Page in May 2017 also receiving comparatively little scrutiny. In it, Strzok describes his reluctance to work on behalf of the special counsel, and that seemed to imply he didn't think there would be substantial findings of collusion between Russia and the Trump campaign team. "I hesitate in part because of my gut sense and concern there's no big there there," Strzok said in the text. In his opening remarks, Strzok defended Mueller's work and emphasized the threat of Russian election interference, clearly referencing the president in saying, "This investigation is not politically motivated, it is not a witch hunt, it is not a hoax." Strzok appeared before the House last week in a session of closed-door questioning. FBI Director Chris Wray has said the bureau has referred to internal disciplinary officials employees who were singled out for criticism in the inspector general's report. Page left the bureau in May. Her lawyer said Page had offered to voluntarily appear before the committees later this month but needed more clarification about what the lawmakers would be asking.